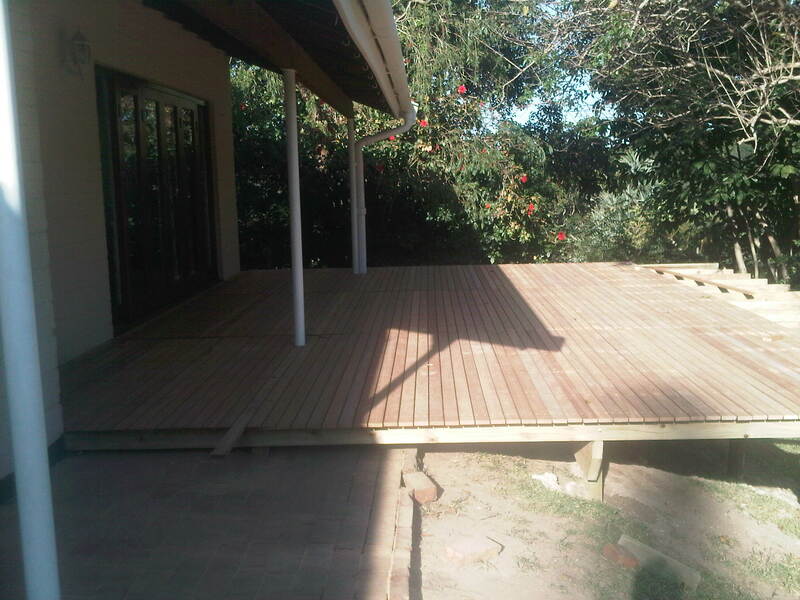 Here’s few videos of us screwing deck boards down on a wooden deck in Durban. This wooden deck is 35 square metres in size. It took us one day to get the complete substructure down and ready, and a 2nd day to screw down all deck boards. Monday morning we will build the balustrade and gate. It’s officially a record and I think it will be hard for us to beat that one. Well done guys. This entry was posted in Durban, Wooden Deck Builder Durban, Wooden Decks and tagged Bälau, Construction and Maintenance, Home and Garden, pool decks, Sun Decks, Sundeck, Sundecks Durban, timber, wood, wooden, Wooden Decks by Garrick Dunstan. Bookmark the permalink.